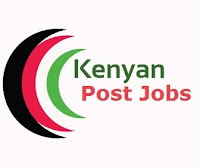 For appointment to this grade, a candidate must have a Bachelor of Science degree in any of the following disciplines: Food Science, Home Economics, Agriculture, Horticulture, Agriculture Economics, Natural Resource Management, Agribusiness, Agriculture Extension, Agriculture Education or any other relevant and equivalent qualification from a recognized university in Kenya. · collaborating with Counties on bilateral, regional and multilateral issues for trade promotion and capacity building. · collecting data and training of county staff in surveillance and management of trans-boundary pests. a Bachelor of Arts or Science degree from a university recognized in Kenya plus a Diploma in Education from a recognized institution. This is the entry grade for Adult Education instructors. · participating in the production of teaching/learning materials and preparing learners for Kenya Certificate of Secondary Education (KSCE) national examination or its equivalent. · be registered by the Kenya Veterinary Board. An officer at this level will be deployed in training institutions, vet labs, veterinary production farms, border points or zoological and efficacy training centers. He/she will work under the guidance of a senior officer. · collecting data and preparing reports on animal health, products and markets. · undertaking postmortem examination and other diagnostic tests. For appointment to this grade, a candidate must have a Bachelors degree in any of the following fields:- Animal Production, Agriculture, Dairy Science, Range Management, Food Science and Technology, Agricultural Economics, Agribusiness Management, Leather Technology, Animal Health Management, Human Ecology, Education (Chemistry/Biology/Mathematics/Physics/Sociology/Community Development/Psychology/Home Economics), Agricultural Extension Education, Food Nutrition and Dietetics, Natural Resource Management, Computer Science, Information Communication Technology, Environmental Science, Dairy Science and Technology, Dairy Technology and Management or its equivalent qualification from a university recognized in Kenya. This is the entry and training grade for lecturers. An officer at this level will work under the guidance of a senior officer. · guiding and assessing students in their course work. For appointment to this grade, a candidate must have a Diploma in any of the following disciplines: Animal Husbandry, Animal Health, Dairy Technology, Dairy Management, Range Management, Ranch Management, Hides and Skins, Leather Technology, agriculture and Home Economics, Food Technology, animal Production, Animal Health and Production, Agriculture Education, Horticulture, Veterinary Public Health, Meat Technology, Leather Science/Manufacturer, Leather Footwear, Laboratory science, Information Communication Technology or its equivalent qualification from a recognized institution. · preparing and maintaining dairy/farm/laboratory/Veterinary materials and equipment for use in instructional duties in the relevant field.